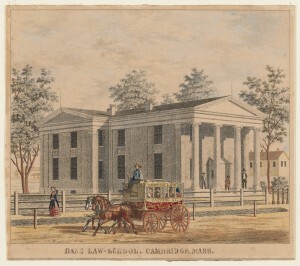 Harvard Law School was established through a bequest from the estate of Isaac Royall, a wealthy Antiguan plantation owner and slaveholder who immigrated to Boston. Royall’s coat-of-arms, with its three stacked wheat sheaves, was used as the school’s crest from 1936 until 2016. The Royall chair was established in 1815. 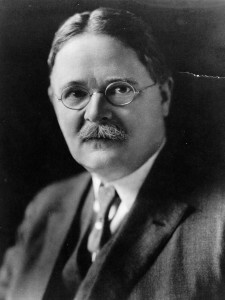 Isaac Parker, Chief Justice of the Massachusetts Supreme Judicial Court, was appointed as the school’s first faculty member and the first Royall Professor of Law. Parker taught at the school from 1817 to 1827. Middlesex County district attorney Asahel Stearns joined Parker in 1817 and taught until 1829. 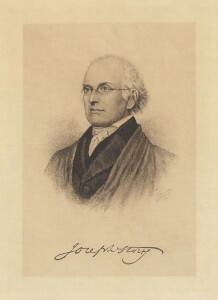 Joseph Story’s belief in the need for an elite law school based on merit and dedicated to public service helped build the school’s reputation. In 1829, John H. Ashmun closed his Northampton Law School and accepted a professorship at Harvard. Many of his students followed him there. Still, enrollment remained low through the 19th century as university legal education was considered to be of marginal benefit compared to apprenticeships in legal practice. 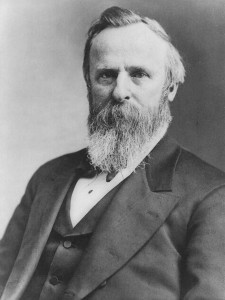 The Class of 1845 included Rutherford B. Hayes, who would later be elected and serve as the 19th President of the United States. 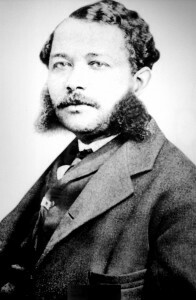 In 1869, George Lewis Ruffin became the first African-American graduate of Harvard Law School. Dean Christopher Columbus Langdell transformed American legal education by introducing what has become the standard first-year curriculum for American law schools – including classes in contracts, property, torts, criminal law, and civil procedure. Langdell also developed the case method of teaching law, which became the dominant pedagogical model at U.S. law schools. His notion that law could be studied as a “science” gave university legal education a reason for being that was distinct from vocational preparation. Critics at first defended the old lecture method because it was faster and cheaper and made fewer demands on faculty and students. But advocates said the case method had a sounder theoretical basis in scientific research and the inductive method. 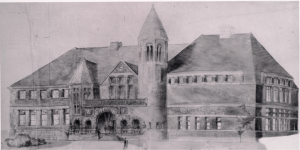 Austin Hall, the law school’s oldest dedicated structure, designed by architect H. H. Richardson, was completed in 1884. Langdell’s graduates became leading professors at other law schools where they introduced the case method. The method was facilitated by the use of casebooks. From its founding in 1900, the Association of American Law Schools promoted the case method in law schools that sought accreditation. In 1905 Dean James Barr Ames commissioned a major new building – Langdell Hall – when it was clear that the school was outgrowing Austin Hall. The southern wing of Langdell was completed and occupied by 1907. 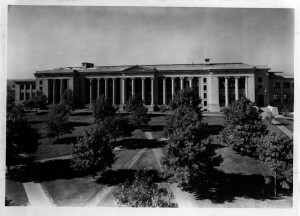 The northern and western wings were completed by 1929. Today, it is home to the Harvard Law School Library, the most extensive academic law library in the world. In 1916, Roscoe Pound became Dean. He served for 20 years, succeeded by James Landis who served for a decade. 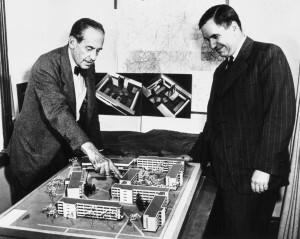 Erwin Griswold became Dean in 1946, and would serve for 21 years. 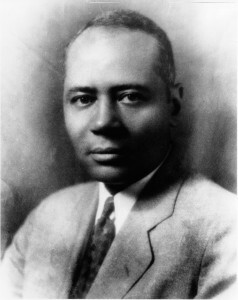 In 1922, Charles Hamilton Houston graduated from HLS and set out on a career in which he became a principal architect of the legal strategy to dismantle segregation laws. Known as “The Man Who Killed Jim Crow,” Houston was a mentor to Thurgood Marshall and a key figure in the legal campaign that culminated in Brown v. Board of Education and the ending of the ‘separate but equal’ notion that had permeated much of American society. William T. Coleman, Jr. graduated in the Class of 1946, and went on to become the first African-American to serve as a law clerk at the U.S. Supreme Court, where he clerked for Felix Frankfurter. Later, as a colleague of Thurgood Marshall’s, he was a key strategist in the litigation that ultimately resulted in the Supreme Court’s landmark ruling in Brown v. Board of Education. In 1975 he became only the second African-American in history to be a member of the cabinet, serving as Secretary of Transportation under Gerald R. Ford. The student newspaper, the Harvard Law Record, began publication in the 1940s, and has been published continuously since then, making it one of the oldest law school newspapers in the country. Ralph Nader ’58 was among its editors in chief. In 1950, women enrolled as students for the first time, and the numbers of female students grew afterwards. (In 2014 Harvard Law School admitted an entering J.D. class that was 50 percent women.) 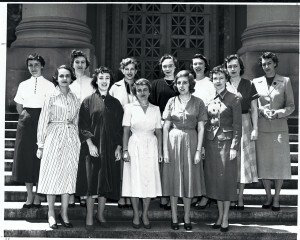 Among the nine women who enrolled at HLS in 1956 was Ruth Bader Ginsburg, who would go on to become an Associate Justice of the U.S. Supreme Court in 1993. The HLS Class of 1960 included Michael Dukakis, who would twice serve as Governor of the Commonwealth of Massachusetts and who became the Democratic nominee for President in 1988; and Antonin Scalia, who would later become an Associate Justice of the U.S. Supreme Court in 1986. The Class of 1963 included Janet Reno, who would become the first woman Attorney General of the United States, serving between 1993 and 2001 during the Clinton Administration. The Class of 1961 included Anthony M. Kennedy, who would join the U.S. Supreme Court in 1988. Justice Stephen Breyer was a member of the Class of 1964. 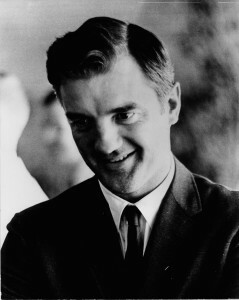 Derek Curtis Bok served as Dean between 1968 and 1971, before ascending to the presidency of Harvard University. 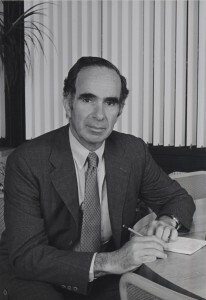 During the deanship of Albert Sachs (1971 to 1981), the school developed a comprehensive clinical teaching program and its mandatory course on professional responsibility. Sachs established the Office of Clinical Programs and the Legal Services Institute in the Jamaica Plain neighborhood of Boston. He also expanded opportunities for research by members of the law school faculty. In that same decade, the school gained additional notoriety in the popular culture through John Jay Osborne’s 1971 novel “The Paper Chase” (and the 1973 film adaptation) and Scott Turow’s 1977 novel “One L”. In 1973, during the Nixon Administration, HLS Professor Archibald Cox took a leave from the faculty to serve as special prosecutor in the Watergate matter. In a showdown with Nixon over subpoenas for tapes of Nixon’s secretly recorded conversations, Nixon, asserting a claim executive privilege, ordered that Cox be fired. In what became known as ‘the Saturday night massacre,’ Attorney General Elliott Richardson and his deputy William Ruckelshaus, both Harvard Law School graduates, resigned after refusing to fire Cox. Subsequent events led to the Supreme Court’s 8-0 ruling rejecting Nixon’s claim of executive privilege in U.S. v. Nixon. The president resigned not long afterwards in 1974. The Class of 1975 included Mitt Romney, who would later become Governor of Massachusetts and then the Republican nominee for President in 2012. 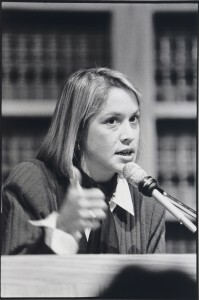 In 1977, Susan Estrich was elected as the first female president of the Harvard Law Review. The Class of 1979 included John Roberts, Jr., who would later become the 17th Chief Justice of the United States. James Vorenberg became Dean in 1981, serving until 1989. During those years, controversy and self-examination surfaced as newer and older faculty members sometimes sparred over lack of diversity and concerns over insensitivity to minority and feminist issues. Proponents of the Critical Legal Studies movement challenged assumptions and conventional pedagogy. The school was also sometimes criticized for producing lawyers who were interested primarily in jobs with large law firms. Vorenberg was credited for steering the school through a turbulent period and at the same time assembling one of the most accomplished minority law school faculties in the country. The Class of 1984 included Loretta Lynch, who would later become the first African-American woman to be Attorney General of the United States. 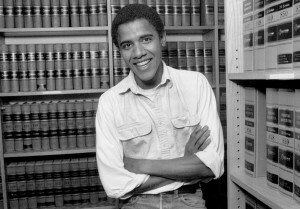 In 1990, Barack Obama was elected as the first black president of the Harvard Law Review. Obama, who graduated from HLS in 1991, would later represent Illinois in the U.S Senate, and in 2008 would become the 44th President of the United States, and the first African-American president. First Lady Michelle Robinson Obama graduated from HLS in the Class of 1988. President Obama would win a second term in 2012. Appointed in 1990, Dean Robert Clark led efforts to recruit a more diverse faculty and student body, to move past the faculty divisions of recent years, and expand assistance to students interested in public service or public interest jobs. 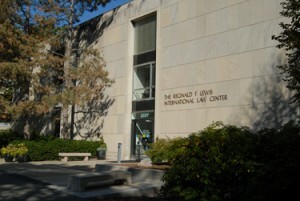 In 1993, the International Legal Studies building at HLS was renamed in honor of Reginald F. Lewis ’68, the business executive and philanthropist. The Reginald F. Lewis International Law Center was the first major facility at Harvard University to be named in honor of an African American. In 1995, the Law School dedicated a new building offering much-needed classroom space and faculty offices, Hauser Hall, thanks to the generosity of Gus and Rita Hauser. The building, designed by the architectural firm Kallmann, McKinnell & Wood, claimed the 1994 Parker Medal as the most beautiful building in the Boston metropolitan area. 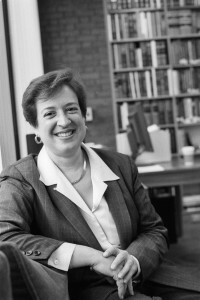 In 2003, Elena Kagan ’86 became the first woman Dean of Harvard Law School. 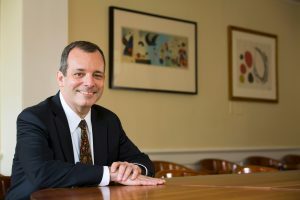 In 2006, under Dean Kagan, the faculty voted unanimously to revise the first-year curriculum and to implement additional curricular reforms, placing greater emphasis on problem-solving, team-based collaboration, administrative law, legislative and regulatory law, and international law, and new programs of study for 2Ls and 3Ls. In 2008, the faculty voted to move to an Honors/Pass/Low Pass grading system. New faculty hires continued to reflect a wider diversity of backgrounds, gender, expertise, and ideologies. Dean Kagan focused especially on making the student experience – including campus facilities for students – second to none. The school commissioned and began construction of a major new building for teaching and student activities. The building was designed by Robert A. M. Stern Architects. In 2009, after Kagan was named U.S. Solicitor General, Martha Minow was appointed Dean. Faculty diversity – across backgrounds and also disciplines of expertise – continued to grow. Pedagogy placed increasing emphasis on clinical experience, team-based problem-solving, interdisciplinary and empirical studies, and entrepreneurial innovation. In 2010, Elena Kagan was nominated and then confirmed and sworn in as the 112th justice – and only the fourth female justice – of the U.S. Supreme Court. In 2011, Professor Elizabeth Warren of the HLS faculty took a leave of absence to run for U.S. Senate in Massachusetts. She was elected in 2012. 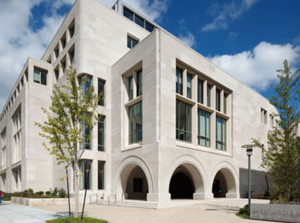 In 2012 the school celebrated the opening of a transformative new building – the Wasserstein Hall, Caspersen Student Center, Clinical Wing complex (referred to as “the WCC”) – on the northwest quadrant of its campus. The WCC gave HLS a vibrant crossroads and collaborative environment with state of the art classrooms and spaces for the school’s many clinics, student practice organizations and journals. John F. Manning, formerly the Bruce Bromley Professor of Law and Deputy Dean at Harvard Law School, and an eminent public-law scholar with expertise in statutory interpretation and structural constitutional law, became Morgan and Helen Chu Dean and Professor of Law on July 1, 2017.